Our product range includes a wide range of briquetting machine, manual briquetting machine, semi automatic briquetting machine, agriculture waste briquetting machine, agro briquetting machine and automatic biomass briquette machine. To cater to the demands of our clients’ requirements, we are highly engrossed in providing a wide range of Briquetting Machine. 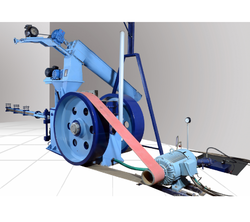 The offered briquetting plant machinery is manufactured employing high-end technology and well-tested raw material. 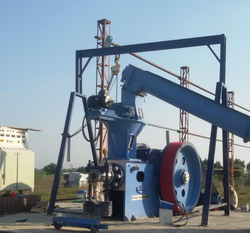 Our offered briquetting plant machinery is thoroughly tested by quality controller to ensure only quality enriched item is delivered at clients end. 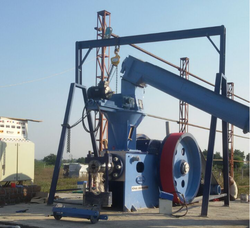 Being a client-centric company, we have been following all laid norms and regulation of this industry while supplying this briquetting plant machinery. We have gained a remarkable position in the industry by offering a qualitative assortment of Manual Briquetting Machine. Remarkable quality and technical advancement rank our offered machine ahead of its competitors. This reduces carbon dioxide emissions by partially replacing coal used in power plants with materials that are already contained in the carbon cycle. Besides being fabricated using high-grade components and advanced machinery, the entire range is rigorously tested by our quality inspectors. With the aid of our skilled professionals, we are able to manufacture and supply superlative quality of Semi-Automatic Briquetting Machine. Our offered briquetting machine is highly valued in the market due to its flawless range. 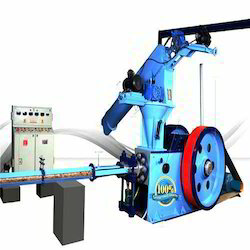 This briquetting machine is designed using world class material as per the set industry norms. 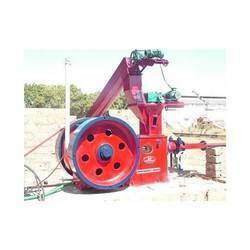 Customers can avail this briquetting machine from us at competitive rates. Riding on unfathomable volumes of industrial expertise, we are offering an excellent range of Briquetting Machine. These machines are highly efficient and require less maintenance. Besides being manufactured from pristine grade components and the latest technology, these are inspected properly by our experts. Owing to features like precise design and high durability, provided machines are exceptionally valued by our precious clients. These are available with us in various models and technical specifications at affordable price. By keeping track with the market development, we are offering optimum quality Agriculture Waste Briquetting Machine. 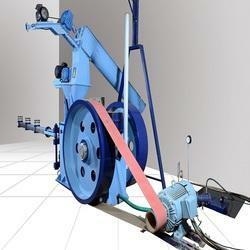 Offered machine is precisely designed to cater the exact requirements of different engineering industries. Our provided machine is manufactured at our end using premium quality components and progressive technology with the set quality standards. 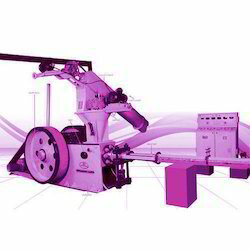 Besides this, our offered machine is appreciated by our clients for its reliable operations. Our clients can avail this range from us at market leading prices. We are ranked amongst the noteworthy manufacturer, exporter and suppliers of a qualitative array of Manual Briquetting Plant. Remarkable quality and technical advancement rank our offered briquetting plant ahead of its competitors. Offered plant takes a waste produce such as sawdust, compresses it and then extrudes it to make a reconstituted log that can replace firewood. Besides being manufactured using high-grade components and advanced briquetting plant, the entire range is rigorously tested by our quality inspectors. The Automatic Biomass Briquette Machine designed for purpose of processing Any Agriculture Waste and Wood Waste in order to produce Briquettes (Fuel) from Any Agriculture Waste, Saw Dust, and Wood Waste using RAM & Piston Mechanism. Since our establishment, we have become the famous manufacturer and supplier of a high quality Biomass Briquetting Machine. Designed to perfection following high definition engineering principles, this machine is widely utilized in several industries. 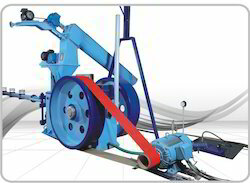 Our provided machine is tested on various parameters in order to ensure its quality and durability. Clients can avail this machine from us in different technical specifications. Our clients can avail this plant from us at market leading prices. The Biomass Fuel Briquetting Machine Jumbo-90 designed for purpose of processing Any Agriculture Waste and Wood Waste with a moisture content of 8-10% in order to produce Briquettes (Fuel) from Any Agriculture Waste, Saw Dust, and Wood Waste using RAM & Piston Mechanism. Note: Depending upon Moisture contain and Bulk density of Raw material. Our competency lies in providing our clients with an optimum quality Briquetting Machine at reasonable prices. Designed at our hi-tech manufacturing unit at par with the set industry standards using pristine grade components, this machine assures long functional life. As per the varied demands of the clients, we offer it several models and technical specifications. Additionally, clients can avail this machine from us at nominal prices. The finest and the most diverse range of Briquetting Plants & White Coal is manufactured, supplied and exported by us. Further, the offered range is widely acclaimed for the impeccable functionality and unmatched functional life it provides. Banking on the skills of our qualified team of professionals, we are instrumental in offering supreme quality range of Hydraulic Briquetting Machine(Fully automated two station Hydraulic Briquetting Machine). Finished Product Length 6" to 12"
We are a prominent organization, which is engaged in offering a quality proven range Fuel Briquette Machine to our clients. 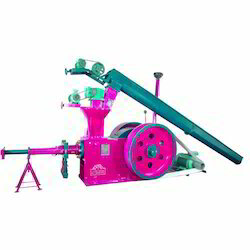 The offered assortment of briquetting machine is available in customized sizes to respond to the various demands of our valued customers.In addition to this, the offered range of briquetting machine is designed and developed using optimum quality raw material and modern technology by experience professionals, who ensure to bring it in conformation with the set quality norms. 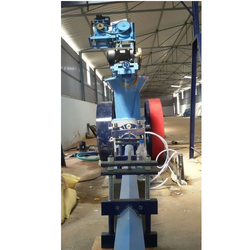 With the year of experience in this field, we are able to manufacture, supply and export high quality Coir Pith Briquette Machine. These machines offered by us are widely qualified in the market for their excellent attributes such as easy operation, less maintenance, high durability. These machines are manufactured using optimum quality metals in compliance with the international quality standards.